From famous faces and top performers to lively talks, debates and hands-on activities, the University of Aberdeen May Festival 2018 has something for everyone. Come and see Graham Stuart, Nan Shepherd and Dr Ely Barnes as they take to the stage in the Granite City. The May Festival Aberdeen, organised by the University of Aberdeen, takes places from 25 to 27 May 2017. It showcases the many strengths of the University with over 160 events ranging from science, music, literature, film, Gaelic, sport, food and nutrition. It is aimed at all ages and interests and events take place across the City at various venues. The Children�s programme is held on 26 and 27 May and it promises to inspire young imaginations with a fun filled family programme which is free for all children and families to attend. For older visitors, there�s a chance to engage with cutting-edge issues in health, energy and medicine led by experts in their fields. This year the Festival will celebrate Scotland�s Year of Youth. There will also be a school and children programme for which all events are free. These will include magic shows, learning about secret species, indulging in making your own crafts and hearing some of your favourite authors. There really is something for everyone! 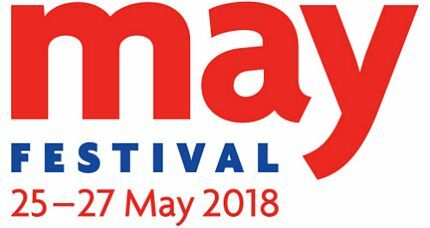 www.abdn.ac.uk/mayfestival or telephone 01224 641122. It was formerly known as the Word Festival.